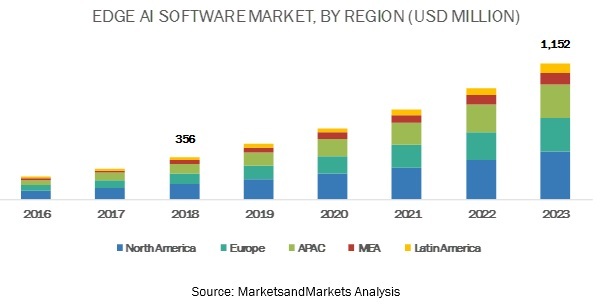 [138 Pages Report] MarketsandMarkets forecasts the global edge Artificial Intelligence (AI) software market size to grow from USD 356 million in 2018 to USD 1,152 million by 2023, at a Compound Annual Growth Rate (CAGR) of 26.5% during the forecast period, 2018–2023. The major growth drivers for the market include the increasing amount of enterprise workloads on the cloud and the rapid growth in the number of intelligent applications. Edge AI plays a crucial role in autonomous vehicles. Edge AI offers prevailing digital transformation opportunities because of real-time analytics and the ability to directly analyze more contextual information. The AI in self-driving cars runs on local processors and interprets the virtual world model to decide what actions to take with the car. With the help of AI-based autonomous vehicles, automakers can analyze the driving patterns and help improve roadways to reduce accidents. Most of the vendors in the market offer edge AI software to analyze images, videos, gestures, acoustics, and motions, locally on the devices. With the advent of AI and Machine Learning (ML) in edge devices, users can now extract entities from videos and images, and build applications to discover information from the videos. The solutions segment has been further subsegmented into software tools and platform. The edge AI platforms offer users AI applications that enable small devices with intelligence and data processing capabilities. The users can extract actionable insights in real-time from the data generated at the edge and enhance the customers’ experience. North America is expected to hold the largest market size in the global edge AI software market, while Asia Pacific (APAC) is expected to grow at the highest CAGR during the forecast period. In APAC, the highest growth rate can be attributed to the heavy investments made by private and public sectors for enhancing their AI and ML technologies, resulting in an increased demand for edge AI solutions for data security and privacy. North America is expected to be the leading region in terms of adopting and developing edge AI software. Growing investments in data management strategies, presence of maximum number of edge AI software vendors, and increasing government spending on AI-based technologies are expected to contribute to the market growth during the forecast period. The major vendors in the global edge AI software market include IBM (US), Google (US), Microsoft (US), AWS (US), Nutanix (US), TIBCO (US), Octonion (Switzerland), SWIM.AI (US), Imagimob (Sweden), Anagog (Israel), Foghorn Systems (US), XNOR.AI (US), Bragi (Germany), Invision.AI (Canada), Tact.ai (US), and Veea Systems (England). 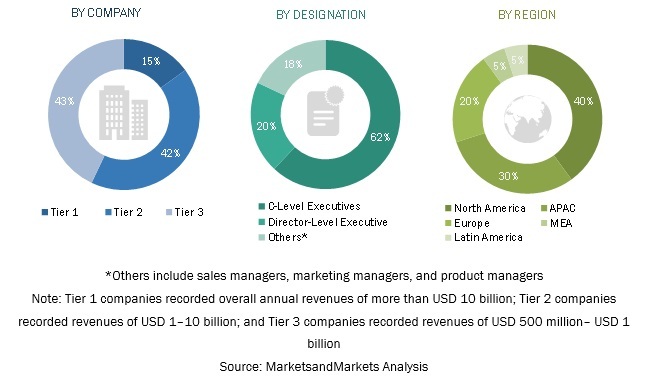 These vendors have adopted various organic and inorganic growth strategies, such as new product launches, partnerships and collaborations, and mergers and acquisitions, to further expand their presence in the global market. Google is one of the key technology players in the edge AI software market. It relies heavily on its organic growth strategy and continuously aims for coming up with innovative next-gen products. Google is making significant R&D investments in areas of strategic focus, such as advertising, cloud, ML, and search, as well as, in new products and services. Google has made significant investments and advancements in AI. The company is well-positioned to take advantage of the increasing demand for AI-enabled applications, AI tools for developers, and cloud-based AI services. Moreover, the company is adopting organic growth strategies to gain a competitive advantage in the edge AI software market. For instance, in July 2018, Google launched Edge TPU, a custom hardware stack, and Cloud IoT Edge Software, at the Nextcloud conference. Both the products implement ML and Internet of Things (IoT)-based technologies in the cloud and at the edge and leverages data directly at the edge. Microsoft spent significantly on R&D to enhance its edge AI software and service offerings. The company is working on the development of AI, ML, and IoT technologies. The company has made significant progress with AI initiatives and is well-positioned to take advantage of the increasing demand for AI tools, AI-enabled applications, and AI-based solutions. Recent advancements in risk management and compliance would enable users to harness the power of these technologies. Microsoft is focusing on organic growth strategies, such as new product launches and product updates, to strengthen its edge AI software offerings. Moreover, the company has various plans to invest in the latest technologies to develop innovations. For instance, in June 2018, Microsoft planned to invest USD 5 billion in IoT and intelligent edge solutions over the next 4 years to accelerate innovation and simplify the customer experience in its IoT-based solutions. Furthermore, the global presence of the company reflects its higher sales numbers and a vast reach. In November 2018, Nutanix launched Xi Cloud Services, a new suite of offerings, designed to create a more unified fabric across different cloud environments that gives IT teams the freedom to run their applications on the optimal platform, not restricted by technology limitations. In October 2018, Microsoft partnered with Qualcomm Technologies to create a vision AI developer kit that users could apply in areas, such as retail, manufacturing, logistics, and smart home. The kit is a camera-based device that combines IoT, edge, and AI from Microsoft with Qualcomm Vision Intelligence 300 Platform and the Qualcomm Neural Processing SDK for AI for on-device edge computing. In March 2018, FogHorn Systems, a leading developer of edge intelligence software for industrial and commercial IoT applications, collaborated with Google Cloud IoT Core, to simplify the deployment and maximize the business impact of Industrial IoT (IIoT) applications. What are the current trends that are driving the edge AI software market? In which applications areas are most of the verticals are deploying edge AI software? Who are the top vendors in the market and what is their competitive analysis? What are the drivers and challenges of the market? *Details on Business Overview, Products, Solutions& Services, Key Insights, Recent Developments, SWOT Analysis, MnM View Might Not Be Captured in Case of Unlisted Companies. The study consists of 4 major activities to estimate the current market size of the edge Artificial Intelligence (AI) software market. An exhaustive secondary research was done to collect information on the market, the peer market, and the parent market. The next step was to validate these findings, assumptions, and sizing with the industry experts across the value chain through primary research. Both top-down and bottom-up approaches were employed to estimate the complete market size. 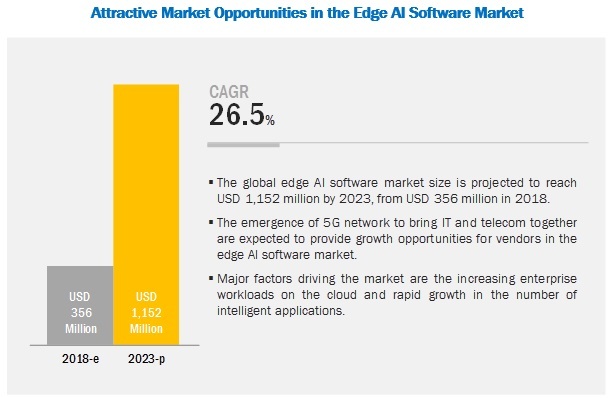 Thereafter, the market breakup and data triangulation procedures were used to estimate the market size of the segments and subsegments of the edge AI software market. In the secondary research process, various secondary sources, such as D&B Hoovers and Bloomberg BusinessWeek have been referred to for identifying and collecting information for this study. Secondary sources included annual reports; press releases and investor presentations of companies; whitepapers, certified publications, and articles by recognized authors; gold standard and silver standard websites; Research and Development (R&D) organizations; regulatory bodies; and databases. Various primary sources from both supply and demand sides of the edge AI software market were interviewed to obtain qualitative and quantitative information for this study. The primary sources from the supply side included industry experts, such as Chief Executive Officers (CEOs), Vice Presidents (VPs), marketing directors, technology and innovation directors, and related key executives from various vendors of edge AI software solutions, associated service providers, and system integrators operating in the targeted regions. All possible parameters that affect the market covered in this research study have been accounted for, viewed in extensive detail, verified through primary research, and analyzed to get the final quantitative and qualitative data. This research report categorizes the edge AI software market based on components, data sources, applications, verticals, and regions.